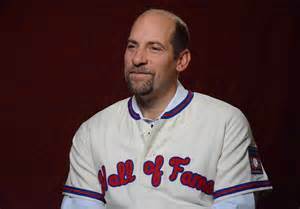 On July 26, former Atlanta Braves pitcher John Smoltz will be inducted into baseball’s Hall of Fame. Here’s a few stats you may not know about Smoltz’s career. Smoltz won 213 games in his career, 210 with the Braves. He also won one game with the St. Louis Cardinals in 2009 and two games with the Boston Red Sox that same season, which was his last season in the majors. Smoltz had 53 complete games and 154 saves in his 21-year career. He is one of only two pitchers to have 50 or more complete games and 150-plus saves in a career. The other is Dennis Eckersley, who had 100 complete games and 390 saves in his MLB career. Smoltz and Eckersley are also the only pitchers in MLB history to have won 20 or more games in a season and have 50 or more saves in another season. Smoltz won 24 games in 1996 and then saved 55 in 2002. Smoltz won the National League Silver Slugger Award in 1997 when he batted .228 for the Braves that campaign. Smoltz ended his career with 61 RBIs and 151 hits, making him one of 158 pitchers to amass 150 or more hits at the plate in their career. Smoltz is one of 94 pitchers to have three or more career regular season stolen bases in his career, but what is more amazing is that Smoltz is the only pitcher in MLB history to have more than one stolen base in the post-season; he had three post-season steals in his career. Smoltz is one of 16 pitchers to collect 3,000 or more strikeouts in a career. Of those 16 pitchers, Smoltz is the only one to have more than 50 saves.